Editor’s note: This is an April Fools’ Day SATIRE article. 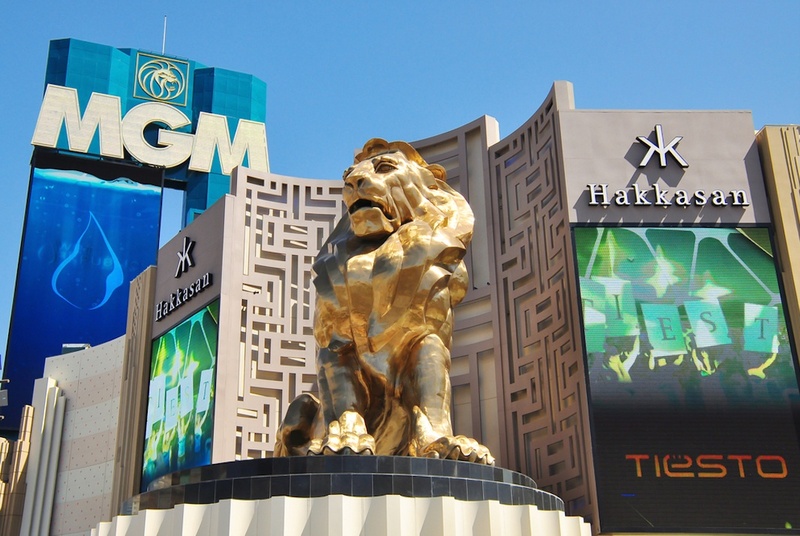 MGM Resorts International is NOT going to build a $5.1-billion casino resort in the city, and MGM Resort International’s Chairman is not Christoph Kerker. 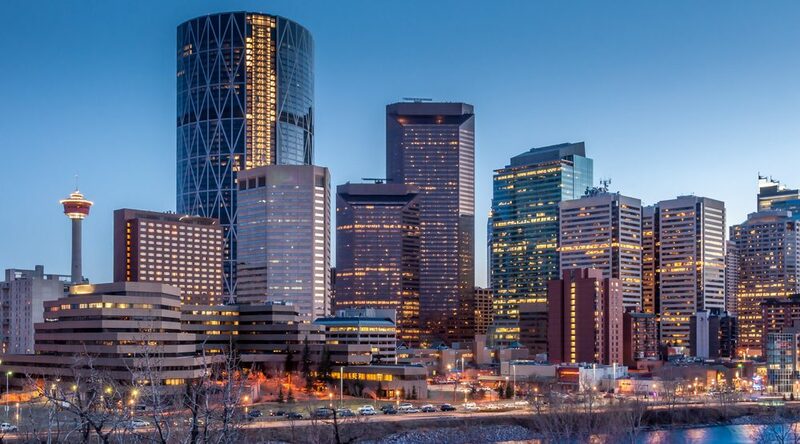 MGM Resorts International is promising the City of Calgary a significant economic and tourism boost if it’s allowed to build a massive $5.1-billion, fully-integrated casino resort and residential complex in downtown. 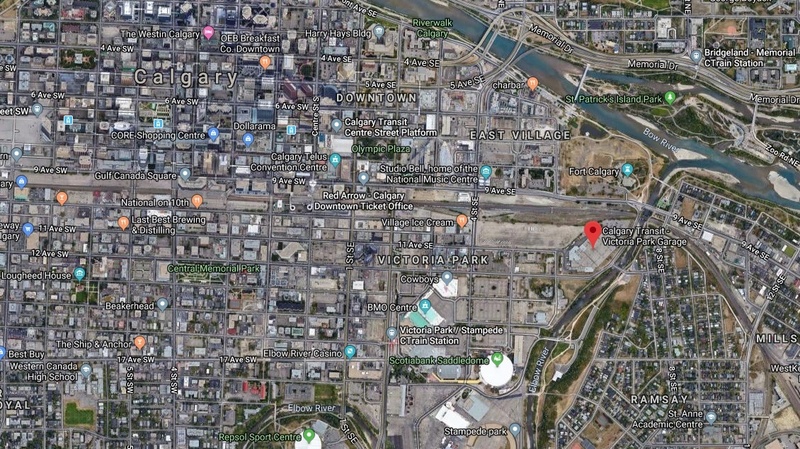 The Las Vegas-based gaming giant announced its proposal this morning to redevelop a 22-acre property at 1075 Street SE, which includes the site of Calgary Transit’s Victoria Park Garage. The property, located just south of Fort Calgary, fronts the Elbow River on its southeast border in the Victoria Park area of the Rivers District. 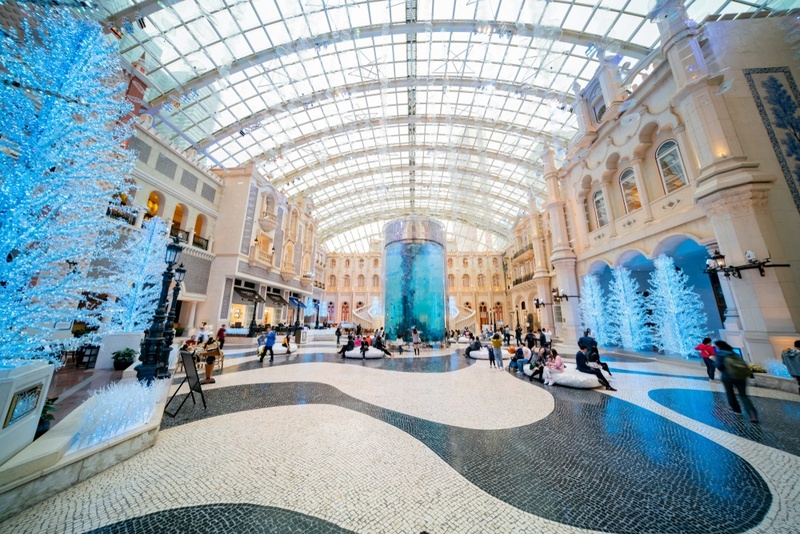 Existing casinos in Alberta would be dwarfed by this proposal for an international-sized casino entertainment attraction: there would be 3.2 million-sq-ft of floor area to contain 1,450 hotel guest rooms, 60,000-sq-ft of hotel guest amenities such as an indoor pool and spa, a 120,000-sq-ft casino with 2,000 slot machines and 300 table games, 1,500-seat theatre, 300-seat comedy club theatre, 150,000-sq-ft of meeting and convention space, 400,000-sq-ft of mid-to-high end retail within an indoor shopping mall, and 22 restaurants including a 500-seat Vegas-style buffet. To support the activity generated by the project, about 4,500 vehicle parking stalls will be built within underground levels. All of the casino, resort, retail, restaurant, and commercial portions of the redevelopment are on the easternmost parcel of the site, contained within a 564-ft-tall, 40-storey tower with an eight-storey podium. A new public boardwalk, lined with retail and restaurants, would also be created along the river’s edge — accomplished through the closure of 7 Street SE between the Macdonald Avenue SE bridge and 9 Avenue SE. A 40,000-sq-ft brewpub with a 2,000-seat seasonal outdoor patio — Calgary’s largest outdoor patio — is located in the area of this boardwalk. A 40-ft-tall replica of the famous MGM lion statue will also be displayed prominently in this area. Rooftop space on the casino podium will include outdoor hotel guest amenities, and a flagship restaurant that will be vying for Canada’s first Michelin Star. The westernmost parcel is envisioned to be redeveloped into three towers reaching up to 60 storeys in height, with further retail and restaurants on the lower three levels and up to 1,500 units of high-end housing in the upper levels. MGM has partnered with Matthews Southwest, the developer of The Bow, for its planned expansion into Calgary. Compared to The Bow, the proposed casino complex will have 1.5 million-sq-ft of more floor area, but it will be roughly 200 ft shorter in height. “Matthews Southwest is pleased to partner with MGM Resorts International to create MGM Grand Calgary,” said John Ohlund, president of Matthews Southwest, which has been involved in a number of major hotel resort and convention centre projects elsewhere in North America over the years. It is currently involved in a new 800-room hotel and 350,000-sq-ft convention centre expansion in Fort Lauderdale. “With MGM’s legendary experience with building and operating entertainment destinations around the world, MGM Grand Calgary will be a preeminent hub for entertainment and dining in Calgary,” continued Ohlund. Proponents are aiming to start construction on the casino resort portion in 2023 for an opening in late-2026 or early-2027. Construction on the second phase entailing residential towers could possibly be built by 2029, depending on housing market conditions. If the project passes through the numerous public consultation hurdles and is fully approved by the Alberta Gaming, Liquor and Cannabis Commission (AGLCC), and the municipal government, the proponents will realize a significant ‘Public Benefits Package’ (PBP) in exchange for the project’s approval. The value of the PBP, a part of the overall $5.1-billion cost of the redevelopment, is $270 million, which will include $200 million towards covering the City of Calgary’s recently-approved $1.5-billion sports, events, and cultural infrastructure capital investments. 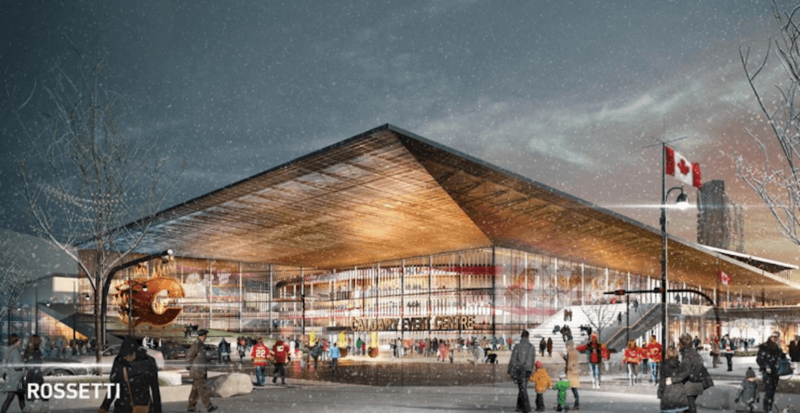 The PBP will specifically go towards the estimated $500 million to $600 million cost of the new NHL arena for the Calgary Flames, which is slated to be built near the MGM site. Another $49 million will go towards road infrastructure and utility improvements that benefit both the new resort and the planned future redevelopments in Victoria Park and the northern portion of the Calgary Stampede Grounds. The proponents wish to set aside $10 million towards the municipal government’s public art program. The remaining $11 million will be directed to the AGLCC as a one-time contribution to the provincial agency’s gambling addiction programs. The new theatres within MGM Grand Calgary will complement the nearby Arts Commons. As well, MGM will be offering both resort theatres to Calgary Stampede organizers for the use of festival programming space for free during the annual Stampede period. In addition to the PBP, a proposed agreement with MGM Grand Calgary will require the casino operator to provide at least $90 million in annual revenue to the City of Calgary, which has seen its annual commercial property drop by $250 million due to a $14 billion plummet in commercial property values — particularly from office towers in downtown. Revenues for the municipality are expected to rise to as much as $140 million annually by 2040 when much of the neighbouring developments and the planned events and entertainment district within the Rivers District, including a revitalization of the Stampede Grounds, will take shape. The resort provides a new revenue source for operational and capital expenses, including the relocation of the Victoria Park Garage to a new facility at a yet-to-be-determined location. The provincial government also stands to benefit, with $100 million to be generated for the AGLCC during the casino’s first full fiscal year. Last year, AGLCC reported gaming revenues totalling $1.736 billion — down from $1.9 billion in 2015. As much as $2.5 billion in revenue could be raised for the provincial and municipal governments combined during the resort’s first decade of business. About 8,000 temporary jobs would be generated during construction, and another 12,000 permanent jobs would be directly created from resort operations upon opening. 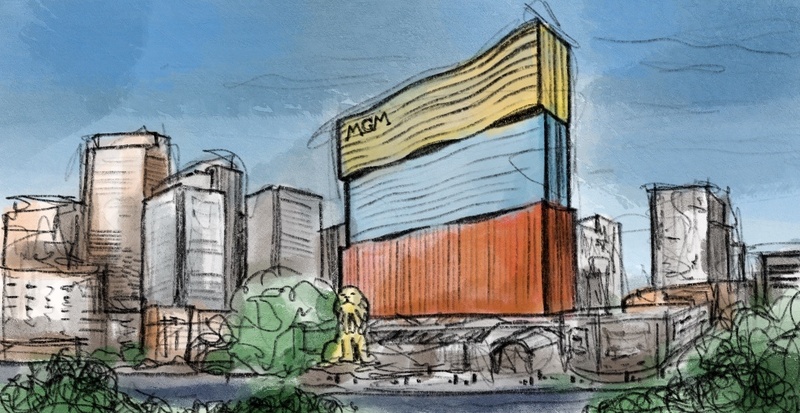 MGM’s plan for Calgary comes after its rejected 2013 proposal for a casino resort attraction in downtown Toronto.